Alexandra Clancy with her deep devotion to philanthropy has launched LOVE, ALEX, an alluring line of fashion accessories that fuels the virtuous cycle of enjoying luxurious design while giving back to worthy causes. Love, Alex handbags are a bold blend of fashion, function and philanthropy. The essence of the company is nestled in the name itself. There’s a lot of love and a little bit of Alex in every timeless item. Central to the company is the idea that love changes everything. With altruism at the heart of the brand, Love, Alex funds an evolving portfolio of essential charitable causes. Resources generated by sales are dedicated to charity partners with a focus on children’s welfare and education. The collection is inspired by Alexandra’s personal aesthetic and desire for glamorous, sophisticated designs with high-functionality. 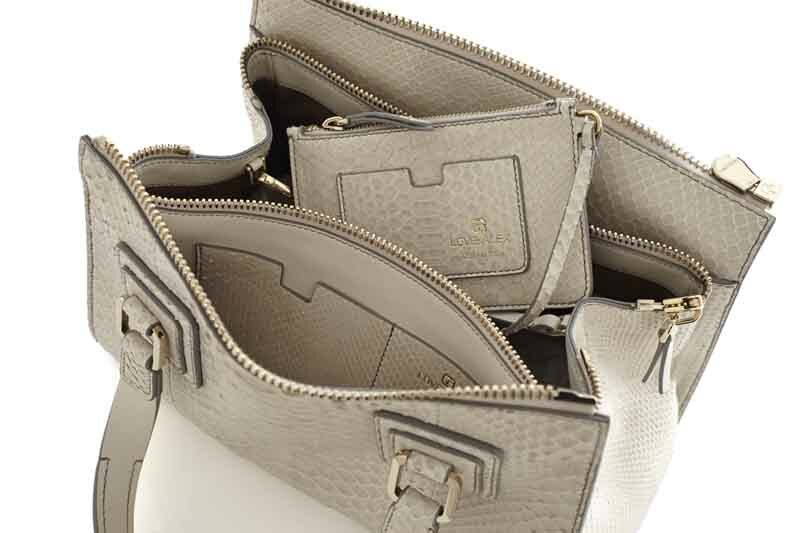 Handcrafted in Italy with artisanal expertise, each bag is as beautiful on the inside as it is on the outside. With great attention to detail, they are designed with a powerful vision that joins form and function in a new interpretation of luxury.